Are you Dopey enough? Of course you are! It’s already started. People are asking that very important question. How do I train for the Dopey Challenge? 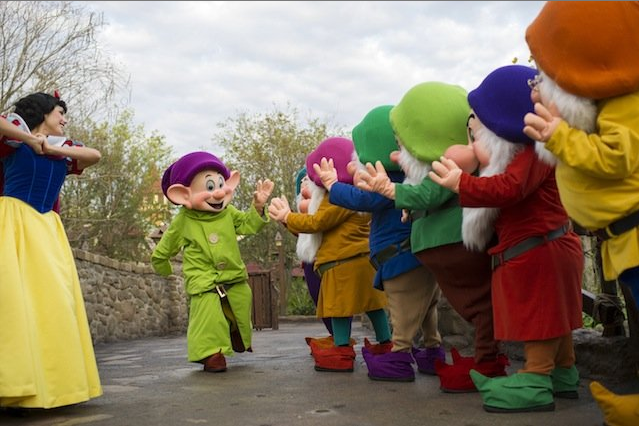 For many, the Dopey Challenge may be the closest they ever get to running an ultra marathon…it seems I may have said something similar to this about a piddly little race called the Goofy Challenge a couple years ago…I’m joking obviously as both are very much a challenge! However, now we can officially be Dopey! An ultra marathon is defined as any distance beyond the 26.2 mile marathon distance in a single day, BUT most ultra marathoners will tell you that the respect of ultra runners start at the 50 mile marker and not a step before. Anything less is just a “marathon plus”. The Dopey Challenge will cover 48.6 miles across four days while the shortest official ultra will cover a minimum of a 50K (31.069 miles) in a single day. However, I digress as this post is about the Dopey Challenge. I’ve decided to post “unofficial” training plans for the Dopey Challenge for my personal use. I’m basing the plans off my experience from training for relays (64 miles), two Goofy Challenges, multiple marathons, half-marathons and other shorter races. My educational background is in Movement and Sport Science double majoring in Exercise and Fitness. Disclaimer: You should always consult your doctor before beginning ANY exercise program regardless of previous experience. If you want to use a plan posted here then it is your choice. It’s freely posted on the web and you use the plan at your own risk. Start now or as soon as you consult your physician. Don’t wait or only wait until after you consult your physician. Get yourself used to running back to back to back to back days with increasing distance. Start this process slowly and take a few months to build your base miles and consecutive running days. Cross train. Bike, lift, spin, row, swim, whatever, but do something more than just run and do it weekly until December. Preferably cross training should use something else besides your running muscles. Tell me what your longest run would be before the dopey weekend. That depends on a runner’s previous long distance experience. Assuming a person has run a couple marathons or at least one then I’d say between 22 – 30 miles. The Dopey and really the Goofy too doesn’t count on a single long run. It depends on a single long run and 50% of that run the day before, but I digress again. Yes, I said 30 miles a minute ago. I say 30 to build confidence. I personally would shoot for 22 to 26 miles, HOWEVER, I would also do shorter runs the two days before. So across four days I might do 1 mile, 5K, 5 mile, 10 miles as a beginning quad run. So 5-6 times between now and November/December I would do this and build distance across the 4 consecutive days. Do it every 4-6 weeks and then do a “regular” run schedule between to recover. Or were you asking the longest run the week directly before (within 7-days before) the 4-day weekend of running 48.6 miles? Check out the two training plans I just posted, but that Saturday/Sunday before I would be doing zero running as it’s too close to the 5K. I’m doing a run the Thursday before followed by a bike session and an elliptical session on Friday and Saturday.